EZ Snap® Team - Thanks for the video review. EZ Snap® Team - Thanks for your feedback Dennis. Immediately reduced the heat coming through RV windows by 20 degrees. Easy installation and 3M tape really holds... Really reduces the stress on AC cooling. Thinking of adding to our bedroom windows to reduce hot summer sun coming in. EZ Snap® Team - Thank you Ken. I have had the RV screens for 3 seasons... My screens have significantly reduced my utility bills. I am so oooh glad I bought them! EZ Snap® Team - Glad to hear it, thank you. Cuts down significantly on the heat coming in the windshield area of our coach. EZ Snap® Team - Thanks for your positive review and photos Fred. If you are looking for Shading this is it. The hardest part of the install was cutting screen. I used the 3m primer pen first. My camper is a 32RKTS Puma. I have some adhesives on the window frames and they are working just fine. I put mine 6 inches apart because I am on the bay in Matagorda TX facing west sun. All in All easy to install. Measure twice cut once. 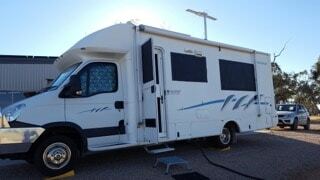 EZ Snap® Team - Happy to hear the RV Shades are working for you in the Texas sun. Super product....so easy even a girl can do it! Yes and I hunt and fish... but have no place as great to hunt as nice and productive you all have. EZ Snap® Team - Thank you Alice. This is my second purchase to go ahead and do the remaining windows in the coach. Your product is easy to install, looks good and very effective at reducing heat inside. EZ Snap® Team - Thanks for your repeat business Mark. So happy with the purchase of EZsnap screens and extra products to go with them. Fast delivery, easy to order and no problems. Easy to install and very good instructions. These window covers cut about 30 dollars monthly off my summer cooling bills. I am so pleased that I decided to purchase them. I just wanted to thank you for helping with my EZ Snap order and send you a few pics of my installation. I'm very happy with my shades and hope that they prove to be durable and last with no issues. EZ Snap® Team - Happy to help Paul. Thanks for sending photos! I am very impressed with EZ Snap. 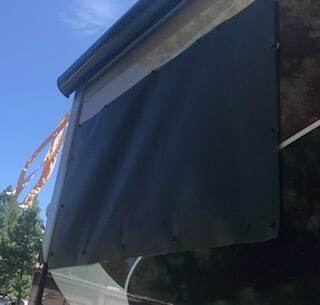 I have been using the materials to cover some of the Windows in my new RV. The outcome is great! Very easy to install and remove for travel. 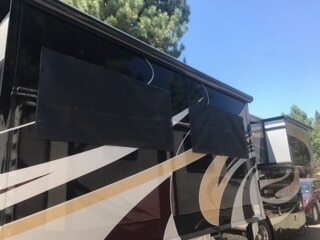 I put them on two 3' X 5' and a 3' X 6' window on our 5th wheel, shades do exactly as described. You can stand in the sunshine and not feel any temperature difference from the shade. I used some of the extra material to cover the sky lights. Still get the sun but not the heat. Here in central Florida where it is close to 100° everyday these shades are a great accessory. The privacy they provide in close quarter camping is an added plus plus. 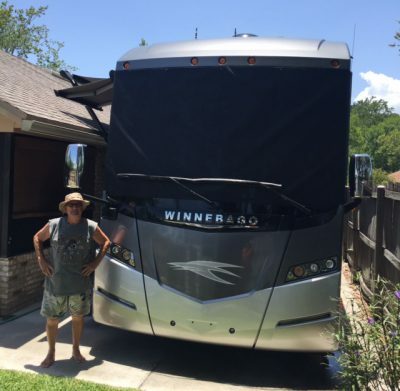 EZ Snap® Team - Happy to hear the RV Shades are working for you in the Florida heat. It arrived on time in excellent condition. There were no parts missing and directions were clear and functional and easy to follow. It's a very lightweight material and was easy to manage. I followed all directions and measured everything 3 times before marking with included pencil and then cutting to size. I put the stick on snaps on and waited 3 days before attaching screen material. 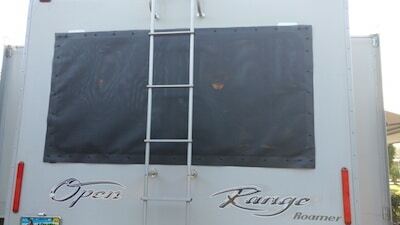 I put my screen on the large back window of my fifth wheel. From the inside it does not hinder view in any way. From the outside, you can not see in at all in the daytime. At nite with lights on you can see figures and movement. The glass is considerably cooler now that I have added screen and I notice a definite difference in inside temperature. I like the way it looks inside and outside. Very happy with my purchase and may in the future add the fifth wheel skirting. So far a quality product and would definitely recommend to everyone. EZ Snap® Team - Thanks for your positive review and photos... we appreciate it! 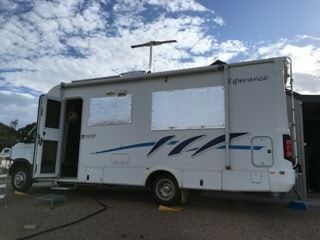 We had had great success in putting the screens on to the windows of our RV. The change in comfort inside was amazing. Thus we ordered more material and fasteners when we got home so that we could cover the windows in the dining area of our house. These windows are west facing and it gets incredibly hot in the dining room when we want to use it for dinner. The shades were easy to cut and mount using the EZ Snap fasteners. The result was amazing - the area is now much more useable, and our air conditioning is now coming on less frequently. There is an added bonus of more privacy - while we can still see our garden, our neighbours can no longer watch us while we eat. EZ Snap® Team - Thanks for your positive review. 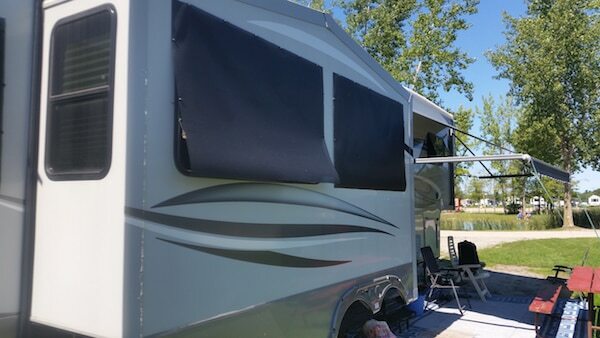 We installed sun shade on our 5th wheel back window and it definitely keeps the RV cooler. We had enough fabric left to install the sun shade on 2 additional windows. Product works as stated. Easy installation and removal for traveling. 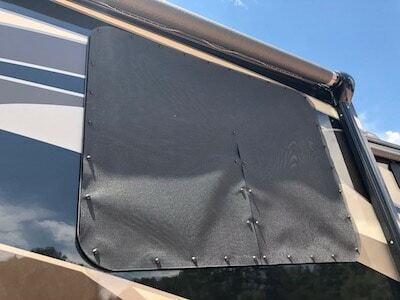 Would highly recommend this product to anyone who needs a sun shade for their RV. I am sorry it has taken a while for me to give you feedback about my experience with your product, however my 95 yr old mother passed away on Christmas Day and that altered my priorities somewhat. On the positive side, that delay did give me more of an opportunity to ‘test’ the screens in the hot Australian sun. Firstly, everything arrived safely and in reasonable time through the forwarding facility. The postage did cost around A$200 which I am sure you would agree adds quite a bit to the overall cost of the product. You probably don’t recall but I was concerned as to how my outward opening windows would be affected by the use of your screens. It wasn’t until I really started to think about it that I realised my situation was even more complicated, as I have louvres. I was determined to find a way to make them work so spent a lot of time thinking before starting! I found the ‘installation’ instructions very clear and simple to follow. I was pleased with how easy it was to prepare the surface and apply the 3m studs to the motorhome. In the end I decided to keep the corners of the screens square as I didn’t trust my freehand corner rounding!! I am very happy with how my motorhome looks with the black screens on. The solution I settled on with my need to open the louvre windows when the sun goes down, was to unclip the two sides and the bottom and roll the screen up. Whilst this might seem a bit tedious for some it only takes a few minutes. I do hope however, that your product can withstand the test of time in needing to unclip and reclip each day. The ability of your screens to reduce window temperature was well and truly tested with my motorhome in it’s current location. We have had several strings of hot days and very warm nights with daytime maximums over 40 degrees celsius. My motorhome is situated on a hill with no shelter, so the number of hours of direct sunlight on the windows is at a maximum. I realise it is a big ask for any screen to cope with these conditions - as I live in the motorhome I soon found that I needed to find a better solution for the extreme weather days, as your screens were not preventing the windows from getting quite warm. So, I decided to try silver screens on the outside using your EZ Snap system. And I am pleased to say that it worked a treat, with the windows remaining very cool even on the hottest of days. The insulation I chose is just a little thick for your caps to stay firmly attached so I will make some adjustments to make it all work a little better. So, on the days when staying cool becomes more important that enjoying my view I will use the silver screens!! In summary, I think your EZ Snap system is a winner. Before deciding to give your system a go, I was quoted a dearer price for custom made solar screens for the inside - which I find a waste of time, as they don’t prevent the windows from heating up. Being able to attach silver screens to the outside is a perfect solution and your EZ Snap system enables that to happen. I am more than happy to share my experience and encourage others to consider your product. I am on quite a few caravan and motorhome forums where keeping cool is very often a hot topic!! I have no doubt people would find their own screen materials in Australia, thus reducing the postage costs enormously, and making your product more affordable — a smaller parcel with just the studs, pins and caps would have much cheaper shipping. My two screen system, shade and silver, requires more of some of your pins and caps, so I will be in touch to order more, once I have determined if my slight adjustments work. I hope this feedback has been useful for you. EZ Snap® Team - Nice Work Pam. Thanks for sending photos of your RV Shades from Australia! 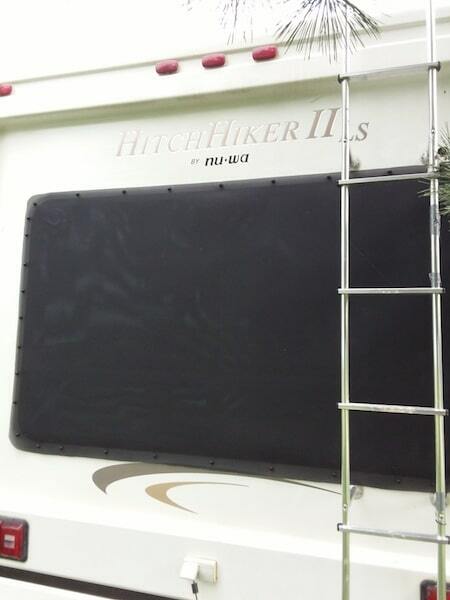 I purchased the EZ Snap screen to help keep our camper cool when the large rear window is facing south when camped. All we had was the accordion style pull down shade and it did not provide any relief inside of the camper when the sun was shining through. The EZ Snap shade arrived quickly with good instructions and all the tools necessary to install. Sticking the little adhesive buttons to the camper was very quick as was the little pins to fasten to the shade. 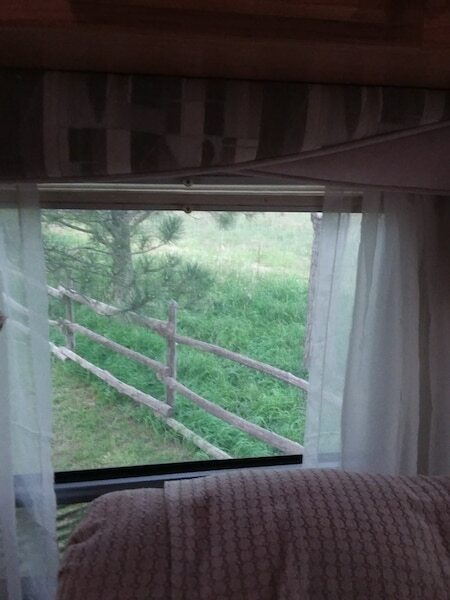 Once installed the EZ Snap shade filters out most of the sun yet you can see from inside the camper looking out. Heat entering through the window is drastically reduced and you can feel it immediately. It installs and removes very quickly and is easily stored in the storage area of our camper. This was a good purchase and we are very happy we did it. EZ Snap® Team - Thanks for the photo George. Looking good! We work for the US Forest Service and are stationed in Las Vegas in the summertime!!! So obviously I need something to help our new 2016 Bighorn 5th wheel get through the 110 degree days in the desert! I was searching for some type of window shade or covering. We had used the standard silver coated window type shades for the inside of the windows in past RVs we had, but the problem is you can't see out of the windows and the heat still gets inside the RV. I ran across the EZ Snap product and thought I would give it a try, and let me tell you I found the results to be amazing. As soon as I had the first side of our trailer done you could actually feel the difference inside the unit. You can hold your hand on the inside of the window and not feel the heat! It was extremely easy to install and went faster then I thought it would. Our unit has the new style frameless windows and there was not a lot of info on installing on frameless windows on the internet. So I was a little intimidated at first but the instructions were easy to follow and I found it to be a snap to trim the shade around the window because of the frameless design, I just used the window as a guide for the cutter. 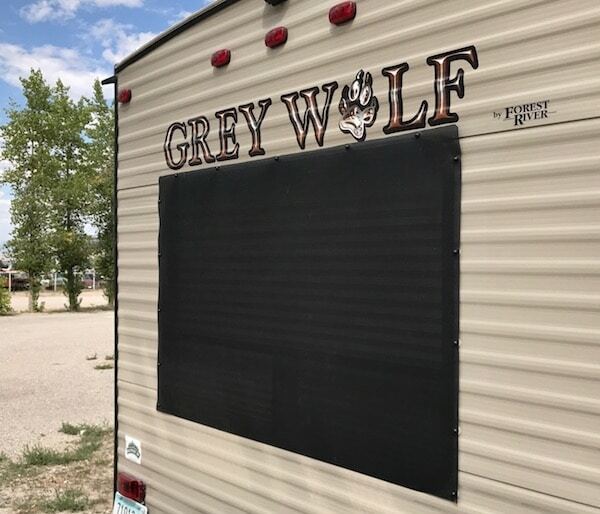 I would be happy recommending these as a great addition to any rv or home especially in a sunny location to help cut energy usage, but especially in a RV to help the inside stay cool and not have the AC unit work as hard. It reduced the heat in our RV. The installation was as easy as advertised. 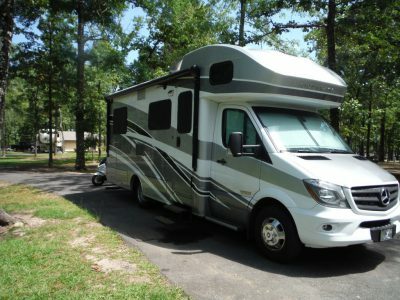 I would recommend it to anyone with a RV that is out in the sun. EZ Snap® Team - Nice install Jeff. Thanks for sending in your photo. Used them on our trip in July To Atlanta GA, Huntsville AL, Little Rock AR, Shreveport, and Longview TX​ before returning to home in FL. They made an incredible difference. During several high-90 days with NO shade, the RV A/C ran almost constantly but was able to cool our 26' motorhome in the mid-70s. EZ Snap® Team - Happy to hear the RV Shades are working for you. Thanks for the photos! This is my second time ordering and using EZ Snap products. 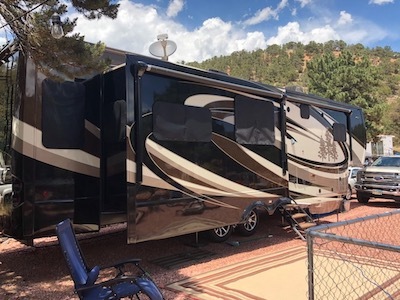 We thought moving our RV would solve our summertime overheating, wrong. The day I installed them on our old mounts you could feel and see the difference. I recommend them to anyone with solar heat gain through your windows, especially the RV market. EZ Snap® Team - Thanks for your 2nd order Bob. We just bought a small toy hauler with only 3 windows and the 1 on the door. I ordered these shades for all windows listed and they literally took me about 30 minutes to cut and install. Love the look on the travel trailer too. It really helps cut the sunlight down on the interior. I will never own another RV without installing these. EZ Snap® Team - Thanks Pam. Oh yeah, definitely cooler in the rig with same temps set. EZ Snap® Team - Nice installation Rick! Happy to hear our Shades are working for you. We installed the EZ Snap self adhesive fasteners on the windows of our fifth wheel RV. It has frameless tinted windows, and we attached the male parts directly to the glass. The black poppers are almost invisible when the screens are removed for travel. Installing our screen material was easy and we were able to get crease free screens. We had tried suction cup fasteners previously, but they did not stay put for long especially in windy weather. We are very satisfied with our EZ Snap system as it substantially reduced the amount of solar heat getting into our RV. We shall be ordering more for some of the windows at our house. EZ Snap® Team - We are satisfied when our customers are satisfied. Thank-you. We used the material to install a drop down shade to our existing awning. 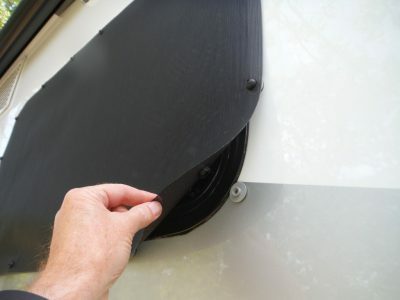 When extended, the snaps allow a quick and simple installation to the awning roller to provide a superior "sun shade" for cool occupancy under our awning. And, with the snaps providing quick removal, we retain the quick operation of our factory awning. EZ Snap® Team - Sounds like a great idea. Maybe you can email us a few photos? First, the customer service provided was excellent. I accidentally found this product one week before we were to leave for the desert for three months, so I called and asked if it was going to be possible to get it in time. My order was processed that evening and very quickly shipped. I received it two days before leaving on our trip! The hardest part was deciding exactly where I wanted to stick the snaps. Our campsite was situated where the windshield never got full sun so I cannot speak to how well it keeps the heat out yet. It did keep passing campers from seeing inside the RV which allowed us to keep the curtains open all day. I would add that we had some very strong wind gusts, lots of rain, big temperature difference and the snaps and shade screen stayed on! EZ Snap™ Team - Great to hear! Thanks Staphanie. Purchased product by phoning in my order, speaking with Tony. During this conversation, never knew this company was located in Canada. Discovered when I received my credit card charges where a Foreign Fees was added to my order. With speaking with Tony, never a mention of a "return/refund policy". Upon inspection of my receipt sent via email, no mention of said return/refund policy. Having made thousands of purchases during the years, if there was to be a restocking fee upon a refund/return, buyer was always made a aware and it was noted on sales receipt. Not the case with this company. When I emailed and called, which it took 3 days to respond from my email, I had to call back as I never received a call back, I was informed of this policy. What a way to do business. This is so shaddy to add that in after the purchase. I had to pay which I am delighted to do so to return this product. Then told to state a value of only $5.00 on the Customs Form by Tony. When in fact the value was a whole lot more than $5.00. I would stay stay away from this company. 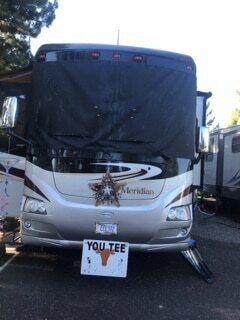 Go else where to purchase a RV Sun Shade. A business that must lie and hide the facts is not one in which I wish to give my hard earned money too. Of course, had to give one star as there was no selection for "zero stars". Now the real test of time, will this review be removed by Tony? EZ Snap® Team - Sorry that you feel this way Ray. We pride ourselves on top-notch customer service and regularly receive positive reviews from our happy customers. We will try to address the concerns you mentioned in your review. It was Troy who you had been corresponding and talking to on the phone. (There is no Tony here). EZ Snap has warehouses in Canada and the USA and Troy is located in our call center in BC Canada. Regarding the foreign fees on your card, your card company should not be charging you fees like that, and the majority of cards do not charge this type of transaction fee. Our Return Policy is clearly posted on our website here: https://ezsnapdirect.com/support/ There is a link to this page with the return policy on all the pages of our site. We reviewed our records of your contact with us. You called outside of our office hours when the office was closed. At the very latest, our staff responds to emails within 48 hours and phone messages within 24 hours, not including weekends of course, when we are closed. Having said that; had you called during business hours, our toll-free line always has a customer service rep ready to take your call. Restocking charges on large, heavy items are common for most online retailers. Without restocking charges, other customers would have to pick up the tab, by way of higher prices, for those customers who change their minds. In your correspondence to us, you mentioned that you changed your mind on your purchase. 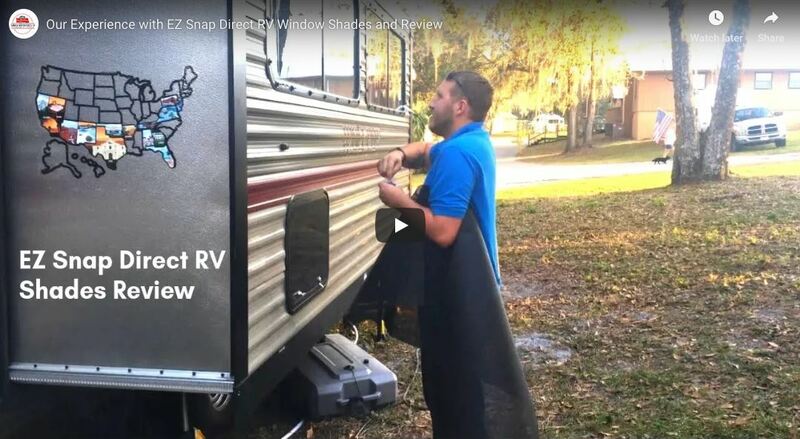 Here's what you said to us in your email: “After receiving the product, decided that it was not what we wanted, way too much work to install given the number of windows that we have on the toyhauler and had to wait until at least 60 degrees constant which means that as of this writing I could still not have installed”. As mentioned previously, a restocking charge is designed to keep costs as low as possible for all of our customers. Each kit is custom built to order and includes a wide range of materials and hardware that is assembled, packaged, and shipped within 48 hours of purchase. We hope you can appreciate that restocking charges are there for the benefit of all customers. Please know that product returns cost EZ Snap more than our restocking charges generate. You mentioned that you had issue with our support team recommending putting a value of $5.00 on your return shipment, even though the value of the shipment was obviously more. Although we have explained this to you in past conversations, we will go over this point again for the benefit of those reading this. The reason we suggest putting a value on your return shipment of $5.00 dollars is this: All courier forms are different and we have had customers incorrectly fill out their shipping documents in the past. They have placed the initial purchase price of the item on the form in such a way that customs has billed the shipment as if the customer was selling the item back to EZ Snap. When a return is done this way, sales taxes, duties, and brokerage charges are applied on the full initial purchase price. This can greatly increase the cost of returning shipments, as returns are supposed to be exempt from these fees. The $5.00 value eliminates the chance of this happening, thus saving our customers an extra cost that should not apply on returned shipments. Our goal is to have satisfied customers using EZ Snap products to save energy and improve the comfort of their living spaces. We are hopeful that you now have a better understanding on the concerns you had. We had an unusually hot 2016 summer even for Phoenix AZ. The inside of the RV felt much cooler and was easier for AC to keep up. 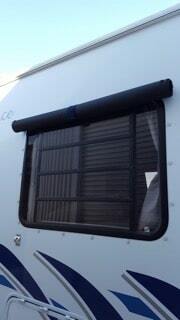 I am very happy that I purchased the RV window shades. I am an elderly solo-full timer and I had no problems installing the screens. EZ Snap™ Team - Thank you for taking the time to review EZ Snap. 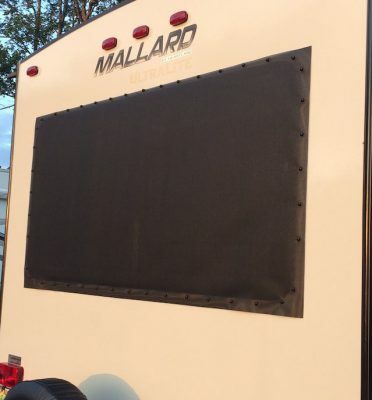 Happy to hear that our Shade Screens made a difference in your RV. We purchased the 25' window shade kit with white 3M adhesive stud in May, 2015 so have used the windows shades for two summers now. They have proven to be effective in reducing the heat generated by the mid and late afternoon sun in our seven west facing windows. Without the shades, even with our lo-e windows you could feel the heat on the inside of the glass but with the shades in place the glass is cool to the touch. We now live in Campbell River on Vancouver Island, BC however we should have had these on our home in the Okanagan as well where we lived for 20+ years. Installation was straightforward. The shade material is easy to cut to size and the adhesive studs definitely stick. Removing the shade for winter storage you exert some force on the studs and none of them budge. Two summers of 30 C+ and two winters of some sub-zero temperatures and they remain in place. We store the shades in winter by labelling which window they come off and mark the lower right corner with masking tape making it easy to reinstall the following summer (we remove the masking tape on installation). For winter storage we stack the shades and roll them on the cardboard roll the shade was shipped on, wrap the whole thing in plastic and store in our heated crawl space. As an added bonus the shades provide daytime privacy into our living areas without having to close or tip blinds so we can still enjoy the view into our backyard. We are very pleased with our purchase and would recommend the product as an easy do-it-yourself project for anyone looking to reduce the sun's heat on their windows, with the added benefit of daytime privacy and preserving views. EZ Snap™ Team - Thanks for your great review Julie. Glad to hear that your EZ Snap Shades are working for you. I have 3 large windows in my 5th wheel. These were my primary concern and reason for buying the EZ Snap product. Michigan in the summer, Florida in the winter. The air conditioner struggled to cool the coach to a comfortable degree on hot days. No problem since I installed the screens, which was very easy. I removed them prior to a move in about 5 minutes. The reinstall at the new location took even less time. I absolutely could not be more pleased. My large windows have crank out louvers on the bottom about 8 inches high. I stopped my fasteners a little above the louvers and they don't flap even in high winds. I would be happy to send anyone pictures if they would like to see what they look like. 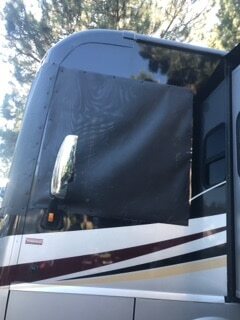 Just a short note email to say how much we appreciate the excellent job your product did of outfitting our motor-home with window shades. It paid off in spades, our unit looks great. As promised I have attached a picture for your album.